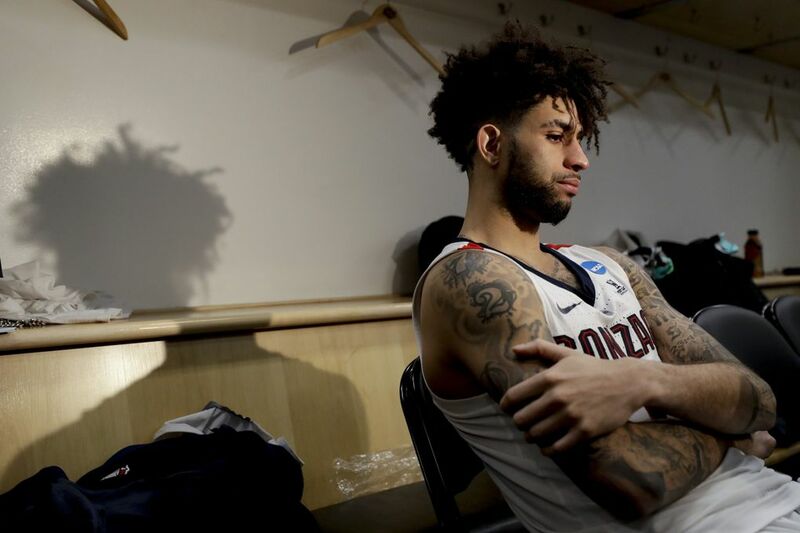 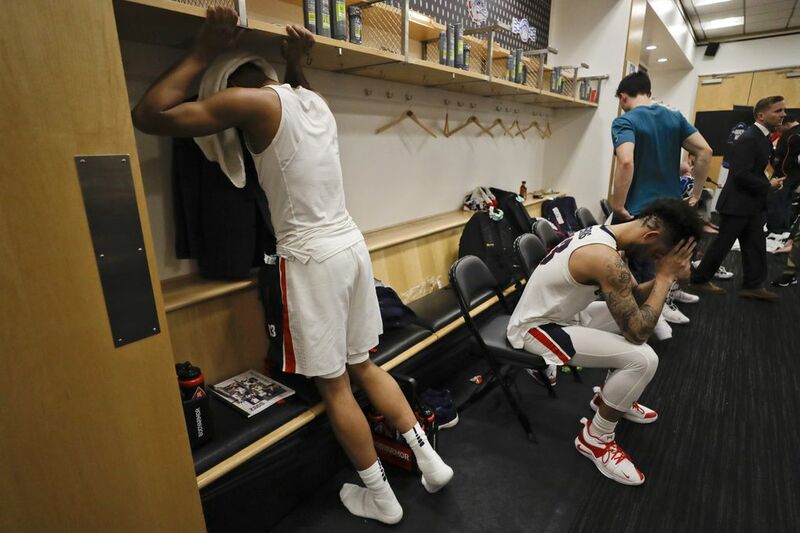 ANAHEIM, Calif. — With the final seconds ticking away, Josh Perkins slumped over near Gonzaga’s bench with his hands on his knees, losing the battle to control his emotions. 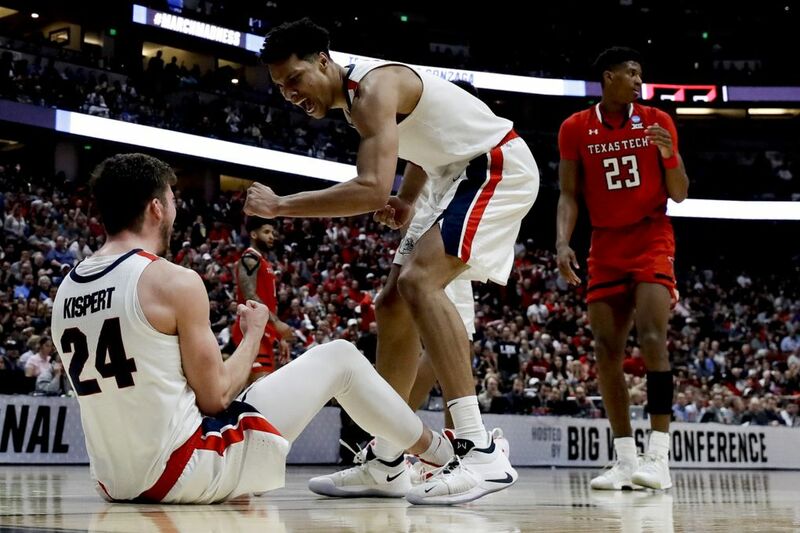 The Zags (33-4) and Red Raiders (30-6) were virtually inseparable for 40 physical, tense minutes. 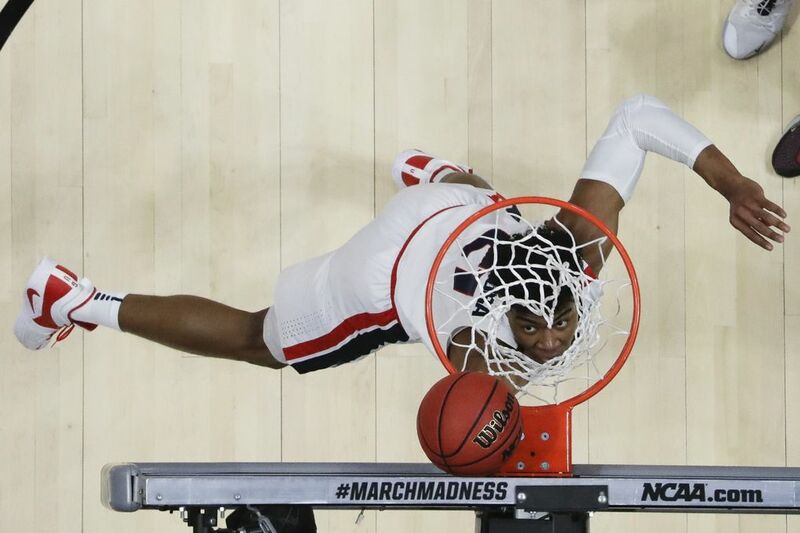 Each team led for 15-plus minutes. 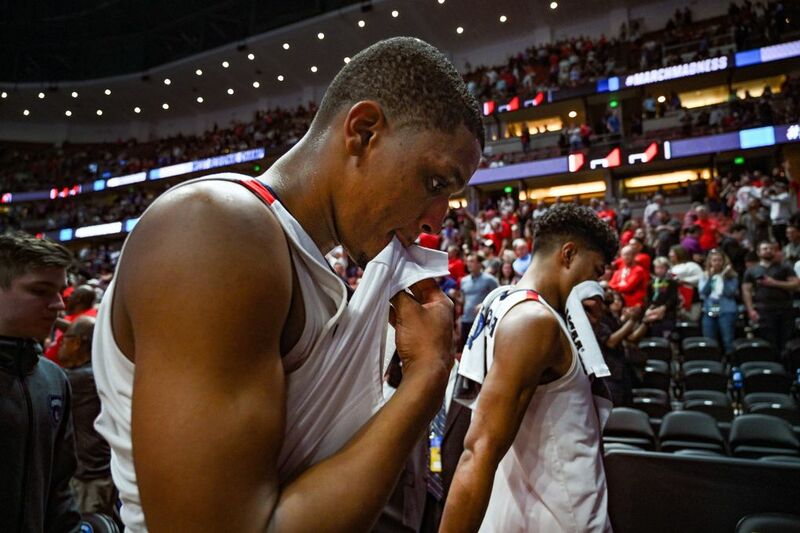 Texas Tech’s largest lead was seven in the final minute. 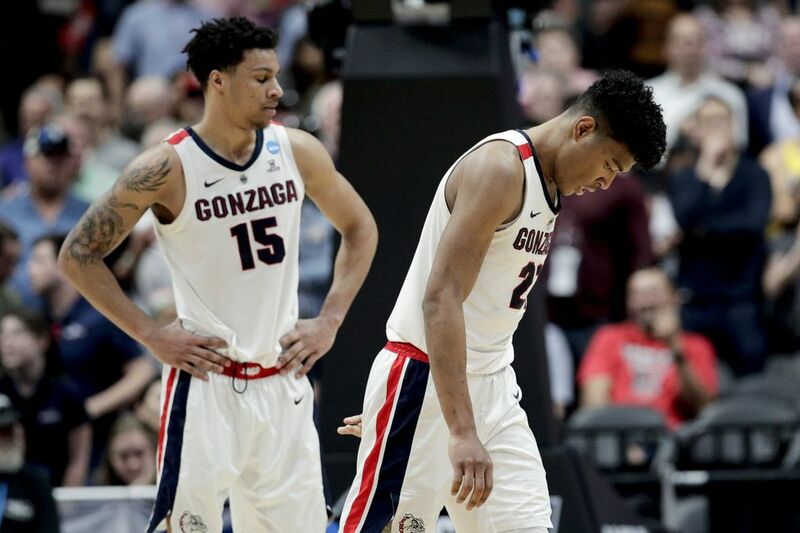 GU’s biggest edge was four late in the first half. 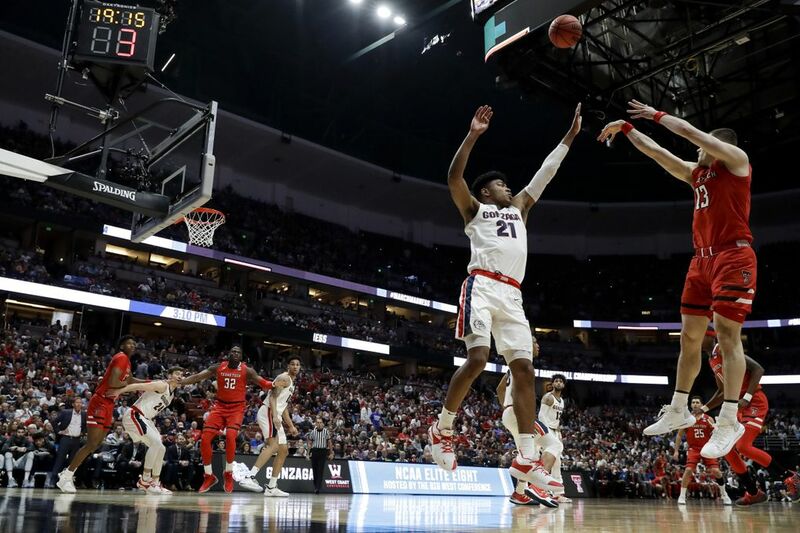 It came down to the final five minutes, but the Zags’ offense began struggling to score near the 13-minute mark. 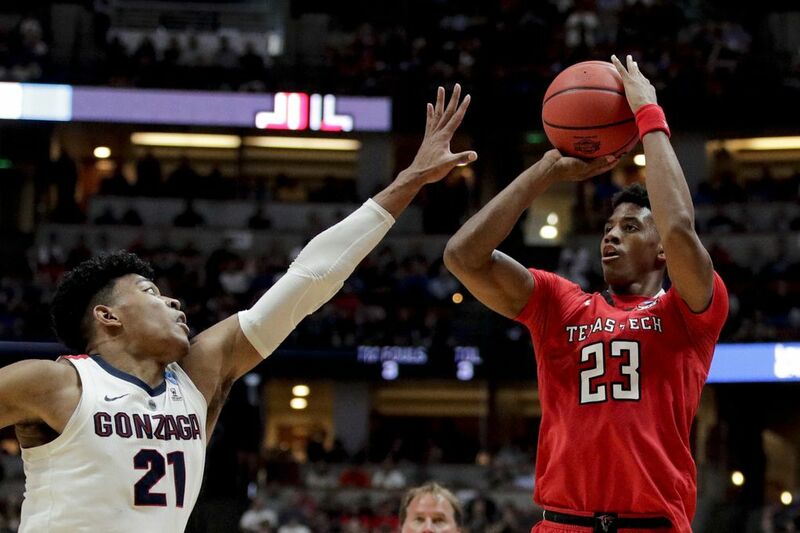 Texas Tech took advantage with a 6-0 run — its largest of the game — to take a 53-50 lead. 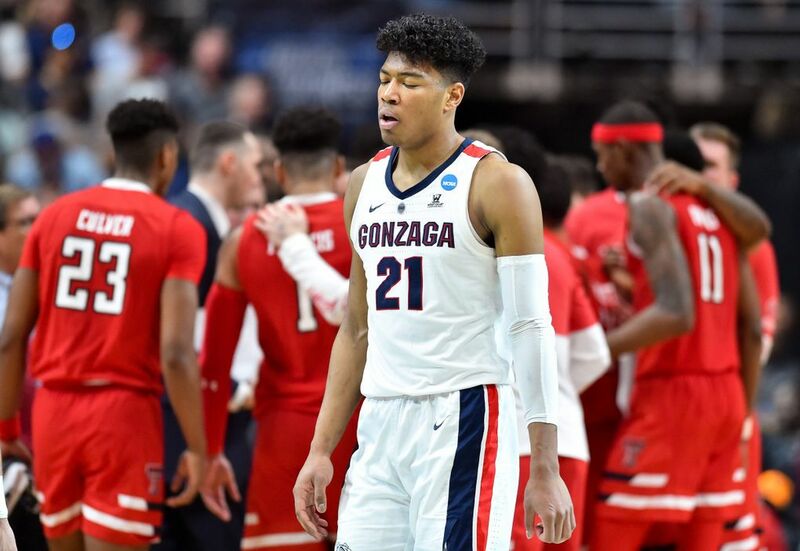 Gonzaga fought back, pulling even on a Perkins’ three-pointer with 5:12 left. 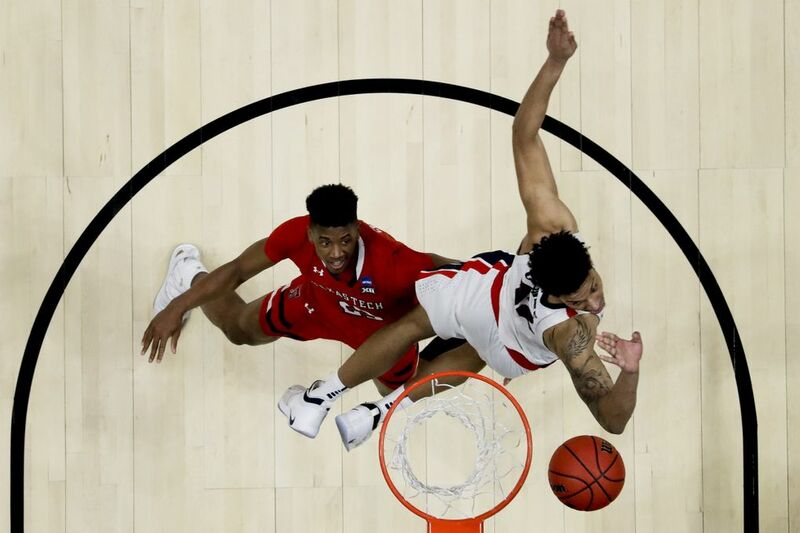 The final 5 minutes were packed with huge plays, but the Red Raiders made the majority of them. 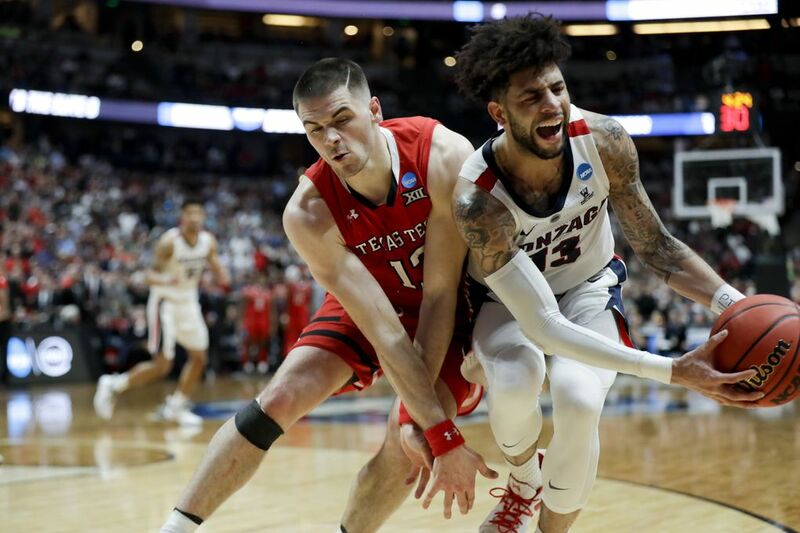 Davide Moretti buried two dagger threes, the first putting Texas Tech up 63-58 and the second making it 66-60 with 1:45 remaining. 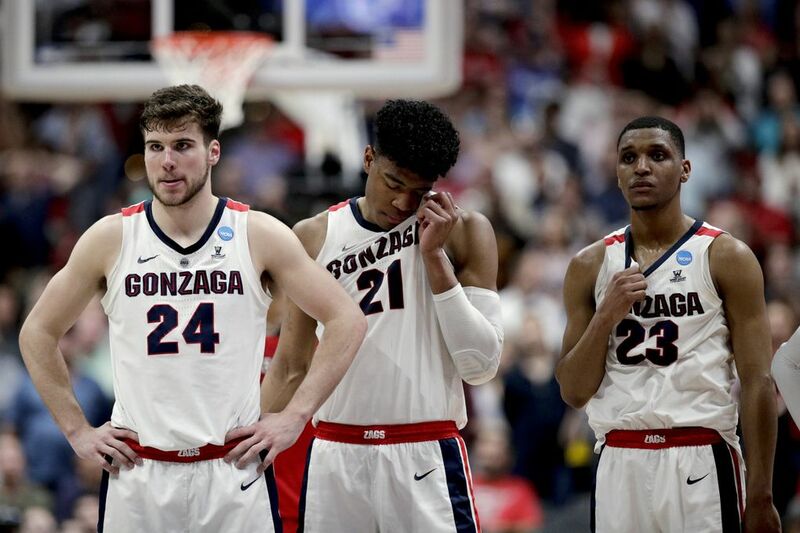 Perkins brought the Zags back. 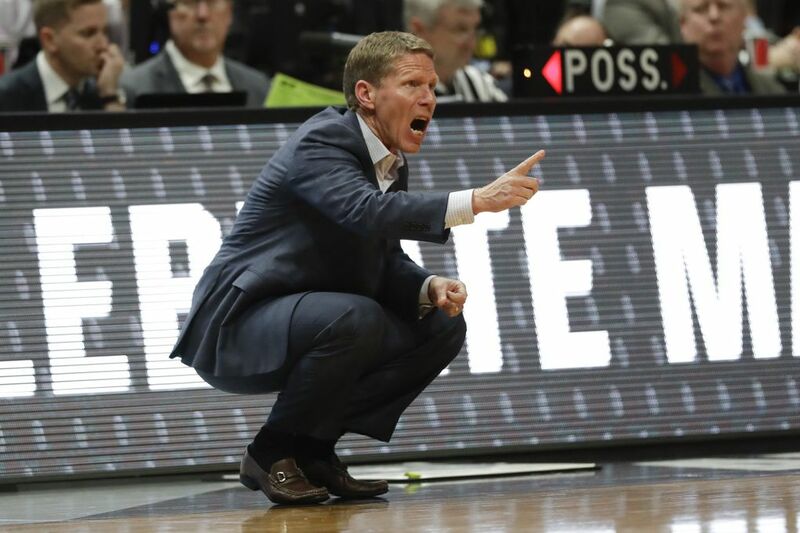 GU closed within 69-67 after Perkins’ tough finish in the lane, his three-pointer after a Red Raiders’ turnover and a Zach Norvell Jr. putback with 11 seconds left. 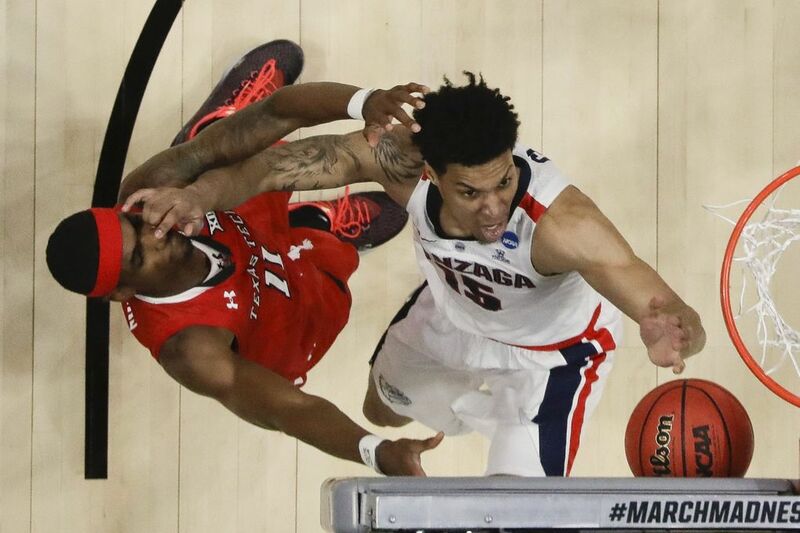 As Matt Mooney was attempting to inbound the ball, Perkins reached across and made contact with Mooney’s left wrist. 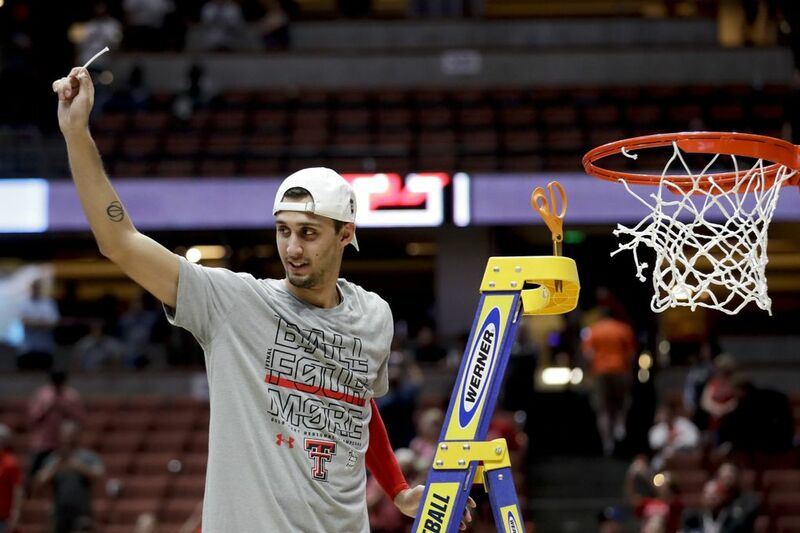 Perkins was whistled for a technical foul and Moretti, a 92-percent free-throw shooter, hit both. 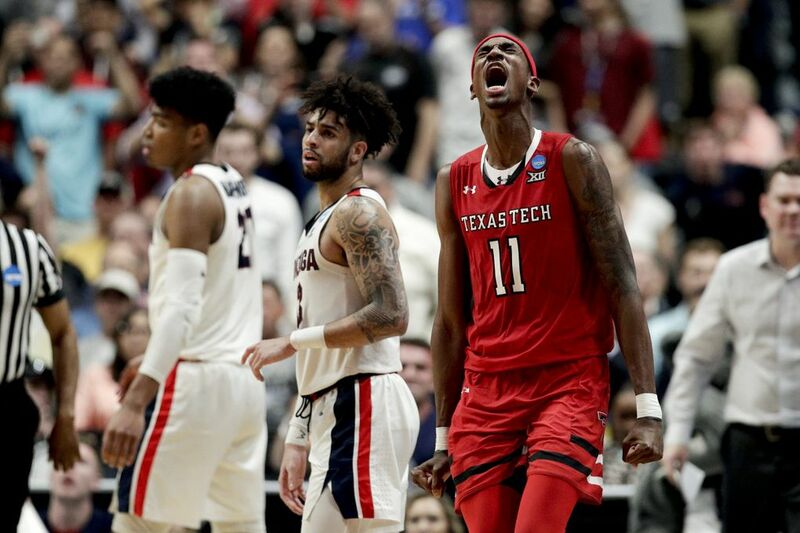 Jarrett Culver added two more free throws — Texas Tech was 9 of 10 in the final 64 seconds — to close out the upset.